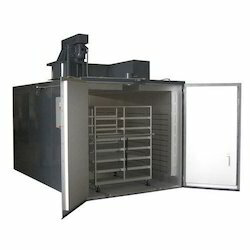 Manufacturer of a wide range of products which include hot air oven, industrial ovens, laboratory oven, powder coating booth oven, burn in oven and radiator baking oven. 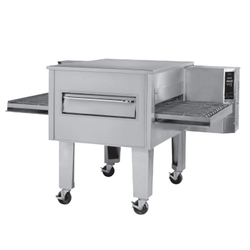 We are the leading supplier of Industrial Ovens made available to our clients at competitive prices. 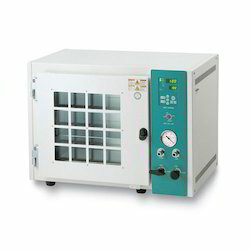 Backed by advanced technology, we are able to offer a supreme quality Laboratory Oven. The offered oven is manufactured using sophisticated technology in sync to the international quality standards. Our offered oven is highly demanded in the market owing to their quality and effectiveness. In order to provide defect-free range at our clients' end, our offered oven is passed for testing on various well defined parameters as per the set universal norms. 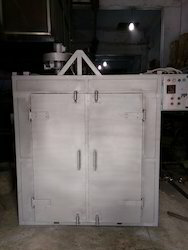 We are renowned as the most popular enterprises in this industry, offering an optimum quality Powder Coating Booth Oven. The booth offered by us is manufactured using premium quality components and leading edge technology in compliance with the industry standards. Our offered booth is used for both batch type and conveyor applications in standard and custom designed models. Additionally, we offer this booth in various technical specifications that can also be customized as per requirements of our clients. 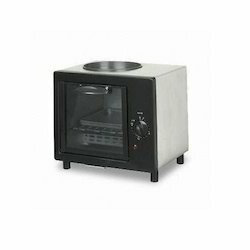 Highly acknowledged for its quality, our company is offering a vast array of Burn In Oven. 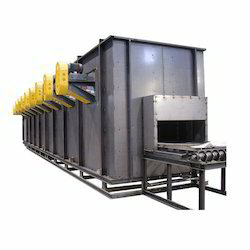 The offered oven is demanded for high performance burn-in and testing applications. This oven is manufactured by using superior quality components and leading technology in compliance with the set industry standards. Also, the offered oven can be availed by our customers at industry prices. We are a well-known firm engaged in manufacturing, exporting and supplying the finest quality Radiator Baking Oven. Our dedicated team of professionals manufactures this oven using modern tools & equipment in conformance with the industry standards. 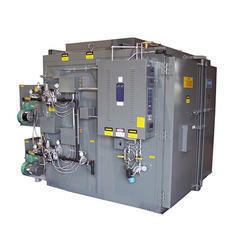 The oven offered by us is extensively used in radiator industry for solder baking in radiators. Additionally, our offered oven can be availed by our clients at market leading prices. By keeping track of the latest market developments, we are offering a premium quality Teflon Coating Oven. The offered oven is tested on various quality parameters as per the set industry standards. Our offered oven is used for coating on various components like textile drying range cylinders, sizing cylinders, guide rollers and biscuits molds. Apart from this, our offered oven can be availed by our clients at competitive prices. We are passionately engaged in supplying an excellent quality Continuous Oven. Our offered oven is manufactured using the topmost quality components and cutting edge technology in sync to the latest market standards. This oven is highly used in several industries for different applications like tempering, annealing, curing, preheating and drying. 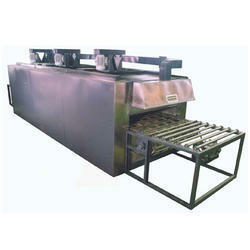 The offered oven is available in various specifications to fetch maximum satisfactions for our clients. Backed by a team of skilled professionals, we are highly engaged in manufacturing, exporting and supplying a premium quality Conveyor Oven. 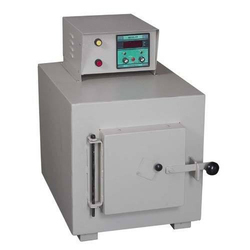 The offered oven is widely demanded for various applications such as tempering, annealing, curing, preheating and drying. Our offered oven is manufactured using optimum quality components and innovative technology in sync to the international quality standards. We offer this oven to our clients at feasible prices. 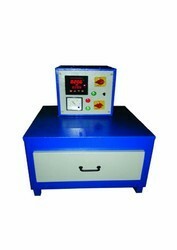 Our company is the major in offering Welding Rod Oven to the clients. 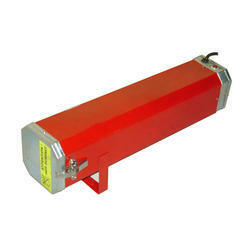 This product is extensively used in various types of purposes by the clients. Offered range is manufactured with the aid of advanced technology using quality-approved raw material under the observation of experienced professionals. 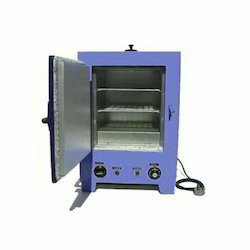 Welding Rod Oven is made available for the customers in different specifications to fulfill the varied needs of the clients. Offered range is stringently checked by the quality auditors on well defined parameters. We are manufacturer of Industrial Oven. 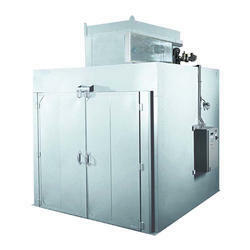 Constantly focused on optimally satisfying our clients, our company is offering Batch Ovens. 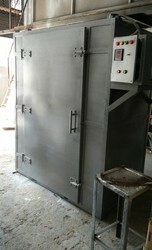 Offered batch oven is comes with have vertical hot air blowing system & shelves for keeping products. Our batch oven is manufactured by optimum quality components and sophisticated technology. This batch oven is well tested on several parameters of quality so as to dispatch a flawless range.